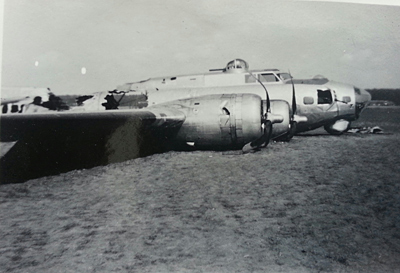 B 17G 42-32070 crash landed near Ryde school on the island of Lolland 9/4 1944. 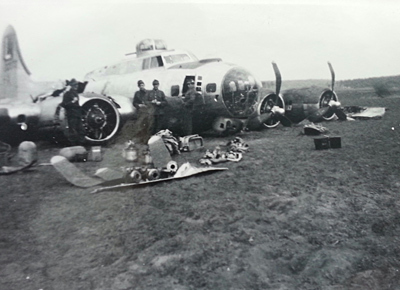 The aircraft belonged to USAAF, 8 Air Force, 452 Bomb Group, 729 Bomb Squadron. T/O Deopham Green OP: Posen. 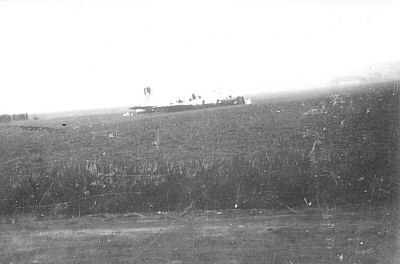 Over the target 42-32070 named “Lonesome Polecat” was hit by flak which wounded Radio operators/Sgt Earl F. Green in his left leg. Later “Lonesome Polecat” was attacked by fighters and the severely damaged. 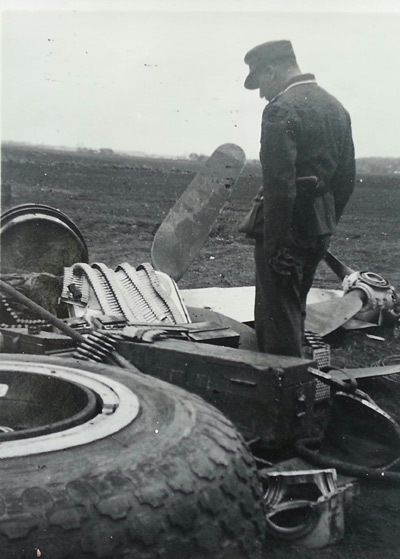 The tail control surfaces were badly damaged and partly shot away. 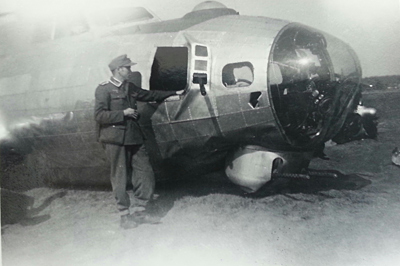 Number two engine was out and the fuselage was burning from the bombardier’s compartment to the radio room. 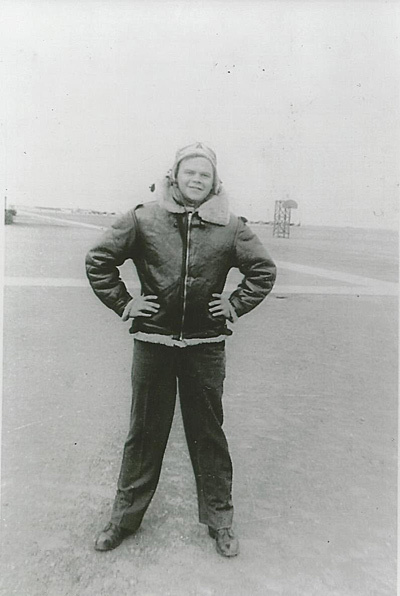 Pilot 2nd Lt Joseph R. Patterson left the formation and belly landed safely on the island of Lolland close to Ryde School. 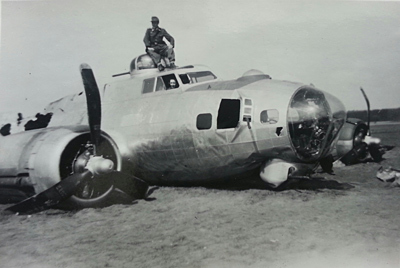 Green was pulled away from the aircraft while the rest of the crew set the aircraft on fire. They then ran to a nearby wood leaving Green by a nearby road. 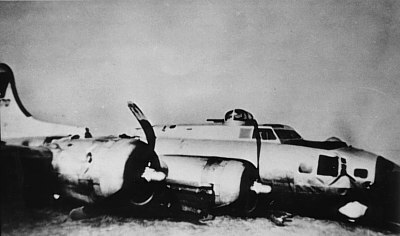 However the fire soon died leaving the aircraft to be dismantled by the Wehrmacht and to be sent to Germany to serve as spares for those B 17`s operated by the Luftwaffe. Green was taken to the Hospital in Nakskov by “Falck” and operated on by Doctor MacDougal. He stayed in the hospital until 9/8 when he was sent to Reservekriegslazarett Kopenhagen in Copenhagen. After a couple of days he was sent by train to Dulag Luft in Oberursel. After having stayed in different POW camps he was liberated from Stalag Luft I, Barth by the Russians on 5/5 1945. 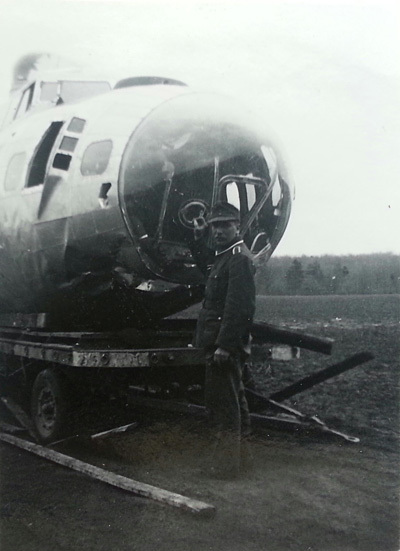 Right waist gunner S/Sgt Alfred H. Dickmann and Tail gunner Sgt Anthony LaRusso were captured in the evening at 21:00 hours on the main road between Maribo and Nakskov and sent to Dulag Luft. Patterson, Bombardier 2nd LT Douglas N. Galloway and Top turret gunner S/Sgt Nielan J. Smith stayed at large until next day at 17:00 hours when they were captured in an auto repair shop in Sakskøbing. They too were sent to Dulag Luft. Patterson, Galloway and Smith ended up in Stalag Luft I, Barth while it is not clear where Dickmann and LaRusso were sent. 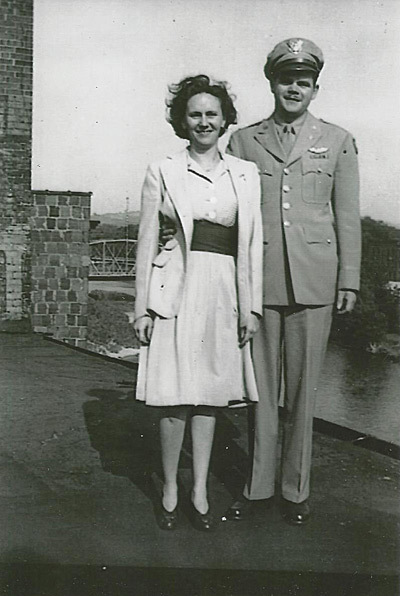 Left waist gunner Private James J. Valley and Ball turret gunner Mansfield Hooper teamed up and got contact with Hans Larsen, Ryde who hid them for a few days. He got in touch with Gerhard Krogh, Maribo who promised to help the flyers. They were dressed in civilian clothes and rode together with Larsen and Krogh to Maribo on bicycles. In Maribo they were housed by teacher Guts. 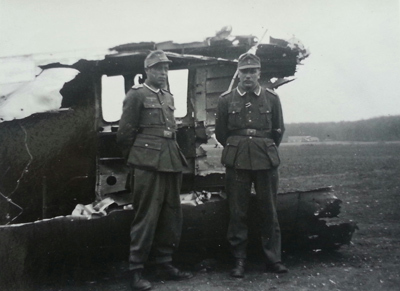 In the days following April 9. the Germans were very busy trying to capture the downed flyers and set up a number of checkpoints which made travelling very difficult. It was decided that the flyers should stay in Maribo until things quietened down. 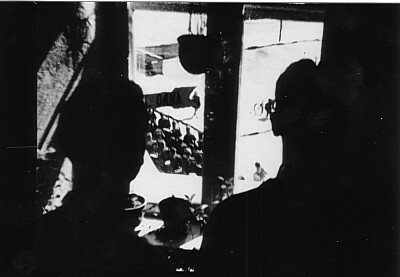 After a while Krogh and the flyers left for København (Copenhagen) by train and was meet by the writer Halfdan Rasmussen, his wife and a lady friend of Krogh. The flyers stayed by Halfdan Rasmussen for about a week. After a while the days became boring and the flyers were taken for sightseeing in the capitol. 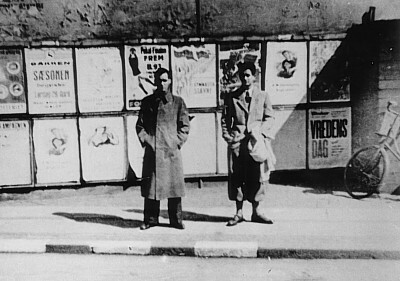 One day the flyers were picked up by a member of the group “Speditørerne” who specialised in helping fugitives to Sweden. They arrived in Sweden somewhere around 20/4. Also Co-pilot 2nd Lt Tony P. Gill and Navigator 2nd Lt Charles F. Markowicz managed to get away and hid in a close by forest until 12/9 when they met a man who advised them to try to escape from Helnæs on the island of Falster by boat. When trying to cross the bridge across Guldborgsund they were close to getting caught but noticed the German guard at the last moment and got away. On 15/4 they stole a small boat and crossed the sound and spent the next days looking for a suitable boat. They did not find any to their liking and instead decided to go north by a German troop transport train. After having passed Næstved on 20/4 they jumped off the train and continued heading north. On the evening of the next day they hid in a outhouse belonging to market gardener Aksel Madsen, ST. Valby. He noticed the intruders and believing it were German deserters called for the police. Police sergeant Magnus Nielsen was sent there with two colleges and seeing that it were allied flyers took them to his house where their identities were confirmed during the night. The flyers were taken to København where they stayed until 26/4 when they were sailed to Sweden by “Dansk/Svensk Flygtningetjeneste” (Danish/Swedish refuge service) who specialized in this kind of work. 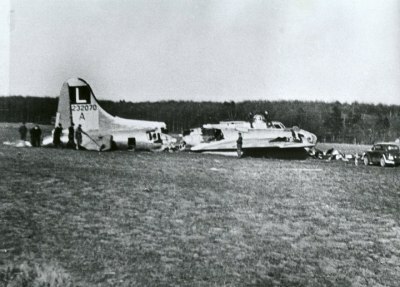 On 29/4 the four flyers returned to England by a courier flight leaving from Bromma airport. Sources: MACR, LBUK, DFEV, FT.